This is totally cool! Buy a rain gutter and attach to house or would also work along a deck. 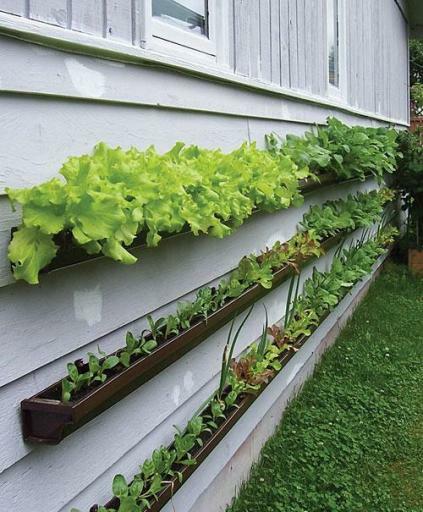 Would be cool for renters or people with townhouses and barely any yard. And so much less expensive than planter boxes. Via Juneau Empire. This 10 ft. gutter is only $5.23 with the end caps it's $12.19. Yeah. The weather here is so dang unpredictable, and if you were to put them in the ground they may drown with the amount of water we get, not to mention the ground can stay frozen up until the end of May.